Kids will be kids and sometimes their clothes take the brunt of the fun. 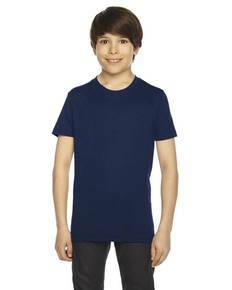 Our Gildan G800B t-shirt is 50% preshrunk cotton, 50% polyester and provides must-have durability for high energy kids. With moisture wicking qualities, a seamless collar and double-needle stitching throughout, and a heat transfer label, the G800B offers comfort and function at a price that’s almost too good to be true. The perfect wholesale youth t-shirts for clubs, intramural teams, and everything in between, the Gildan G800B t-shirt is something that every kid will be happy to grow up in. Shop now!